PT Bank Mandiri (Persero) Tbk - Mandiri Group or referred to as "Bank Mandiri" is the largest commercial banks in Indonesia. Bank Mandiri is ranked as the firts largest banks in Indonesia in term of total assets. According to PT Bank Mandiri (Persero) Tbk Annual Report 2015 as cited by JobsCDC.com, Bank Mandiri showed a positive performance in 2015 and recorded a growth of 6.43% in total assets amounted to Rp 910,063.40 billion over the previous year (Rp 855,039.67 billion in 2014). Bank Mandiri is a state-owned bank which is majority owned by the Government of Indonesia. The Bank’s shares were listed under ticker code BMRI. Today, the majority of Bank Mandiri’s shares are owned by the Government of Indonesia (60%) and the remaining is held by the public (40%). 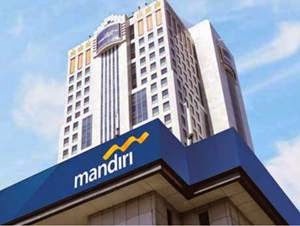 Headquarteredin Jakarta, Bank Mandiri has its business activities focused in five sectors: Consumer Banking, SME and Micro Banking, Commercial Banking, Corporate Banking, Teasury and Financial Institution. As of December 2015, Bank Bandiri has 12 regional offices, 8 overseas representative offices, 2,457 domestic branch offices, 1,082 sub branch offices and 273 cash offices. Required experience for minimum 4 years as an Analyst / Researcher in the field of Economics (Industrial / Macro / Regional). Formal education background of Bachelor Degree (S1) in Economics or Finance. The candidates with Master Degree (S2) is preferred. Strong knowledge of macro and micro economic theory, quantitative and econometric and statistical capabilities which both included the use of software. JobsCDC.com now available on android device. Download now on Google Play here. Please be aware of recruitment fraud. The entire stage of this selection process is free of charge. PT Bank Mandiri (Persero) Tbk - Industry Regional Analyst for Office of Chief Economist Mandiri July 2016 will never ask for fees or upfront payments for any purposes during the recruitment process such as transportation and accommodation.